The UK pushed back against EU measures that would limit the use of biomass to meet renewable targets, amid concerns from scientists that the controversial fuel could accelerate climate change. A leaked document seen by Unearthed shows that the UK, together with Poland and Spain, lobbied against measures that would have placed limits on power plants burning biomass, as part of Europe’s new renewable energy goals. The move has caused frustration in Brussels and comes despite UK plans to leave the EU just as the rules it is lobbying over begin their implementation. The amendment would allow countries to have larger stations fuelled by biomass or co-fired with other fuels like coal under the EU’s renewable energy directive. Even though the UK is leaving the EU, the government has repeatedly sought to influence legislation in Brussels since the Brexit referendum. Biomass is a type of bioenergy, normally derived from wood. It has been talked up by some governments and industry as a greener alternative to coal, but it is controversial. Scientists are concerned that burning wood pellets to generate electricity may release more carbon into the atmosphere than coal or gas. A paper setting out the UK, Poland and Spain’s view on the revision of the EU renewable energy directive – dated October 20th 2017 – reveals that the three governments looked to amend a European Commission plan to place limits on biomass. The countries suggested an amendment to Article 26, paragraph 8 of the Commission plans, which was then taken up by the European Council when energy ministers agreed their joint position in December. Last month, the European Parliament proposed its own ambitious renewables targets – 35% renewable energy by 2030. Negotiations will soon start between the three institutions – so-called trialogues – to reach a final deal. Linde Zuidema, a bioenergy campaigner at the Brussels-based environmental organisation Fern, told Unearthed: “The UK and Poland have successfully lobbied against measures in the EU’s renewables policy that would limit burning biomass in large scale inefficient power plants. Charles Moore, a campaigner with the climate not-for-profit Sandbag said: “Across a number of EU member states biomass subsidies are directly and indirectly supporting coal generation. Tighter limits on how biomass is burnt in power stations could help break this link. The UK government told Unearthed it would not comment on leaked documents. But a spokesperson for the Department for Business, Energy and Industrial Strategy (Beis) wanted to let us know: “The UK plays a leading role in tackling climate change with Clean Growth at the heart of our Industrial Strategy. We’re proud to have some of the most demanding biomass sustainability criteria in the world. What is the EU renewable energy directive? The EU is currently reviewing its renewable energy directive, which sets a target for the EU member states to boost renewables use by 2030. Member states are currently expected to meet the EU’s current target to generate 20% of energy from renewable sources by 2020, with the UK expected to miss its share of this target. Biomass has long been talked up as a greener alternative to coal. 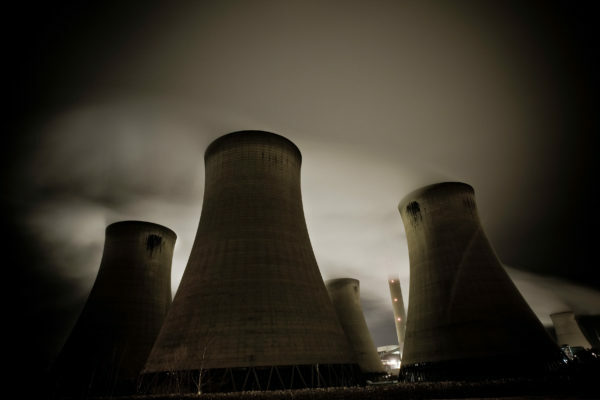 In the UK, Drax power station switched from coal to biomass in 2012. But a study published by Chatham House in February 2017 warned that emissions from burning wood pellets to generate electricity are higher than coal and could not be viewed as carbon neutral. And a former chief scientific adviser to the UK government, Professor John Beddington, warned in December that using biomass to help European countries meet renewables targets could be misguided. Beddington’s comments came a fortnight after he and a group of leading scientists signed an open letter warning that the continued use of biomass as a renewable energy in Europe could “accelerate climate change”. The UK government commissioned the ‘Use of high carbon North American woody biomass in UK electricity generation’ study in 2015 to allay fears that biomass used in the UK was causing major carbon emissions. It is unclear what European rules the UK will be subjected to after it leaves the EU. Unearthed reported in January that the UK is opposing new EU recycling targets during negotiations in Brussels, despite highly publicised moves to address plastic waste. In November, we reported on more leaked documents showing that the UK had moved to curb a policy in the renewable energy directive aimed at helping for households selling excess electricity generated from their own solar panels.